Answer a few questions and view jobs at PetSmart that match your preferences. We love pets and we believe pets make us better people. 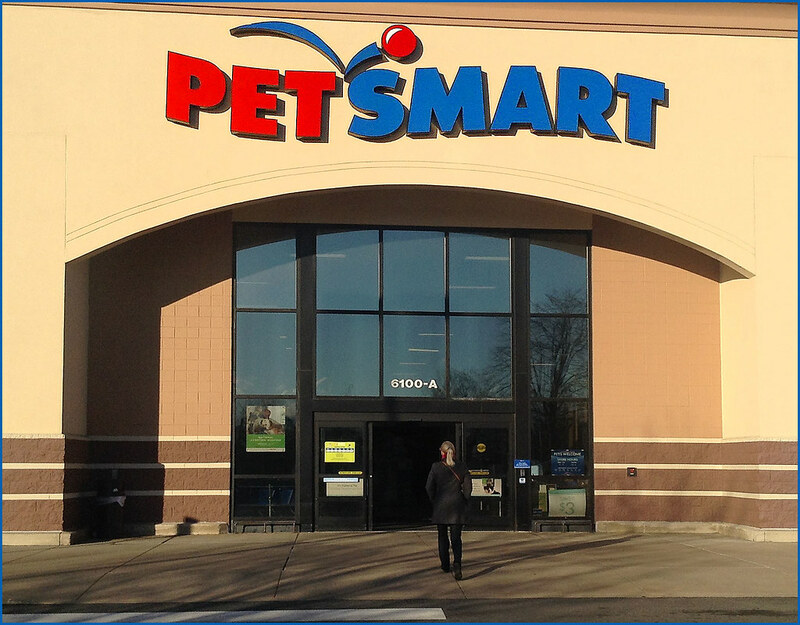 PetSmart will be the trusted partner to pet parents and pets in every moment of their lives. Apart from working with cute animals, employees also enjoy good compensation package here. Do You Work At PetSmart? The relationships with customers and their pets, strong team mentality, good benefits, good opportunities for advancement. Im graduating with an engineering degree in the fall and I finally got a paid full time internship. I wanted to leave sooner because my store and upper management is incredibly toxic but I could make my own hours essentially and was guaranteed a set amount of hours each week so I stayed longer than I wanted. Have you seen any bad behaviors when it comes to the groomers or pet hotel? Have you seen any bad behaviors when it comes to the groomers or pet hotel? What about else where? Best dog food to buy? Any hot chicks where you work at? *** department in your store? Have you encountered anything like this at your store? I worked at PetSmart for a while (same position as you) and I have a question. While I was working there was a room where we kept sick animals we were treating. Mostly there were hamsters with wet tail but there was a hamster there for over 7 days (without treatment) with a rectal prolapse. No one gave a *** about this little hamster and it infuriated me. When I would bring it up to managers they'd *** off. I quit because of that and other similar reasons. Have you encountered anything like this at your store? Do you hire 16-year-olds? I need a job! How did you acquire that position & what previous experience was required? Can't speak for OP but I also hold the position at my store. Pet Care Specialist is just a normal position in the store. I applied for the job on the website, got trained as a cashier and told the store I was interested. I was then trained in Pet Care. I just graduated college and this is my first "real" job outside of student teaching and work study. PetSmart requires you to be 18 to apply but other than that, there wasn't much required. As someone who also works in Pet Care, how do you deal with individuals who claim that goldfish and tropical fish can go together? As someone who also works in Pet Care, how do you deal with individuals who claim that goldfish and tropical fish can go together? It is one of our biggest problems currently and its frustrating. The most our managers will currently let us do is to deny the return policy. Weird, we here are allowed to deny a sale on any pet in our department. I had a woman the other day that wanted 2 of the 20 cent feeder goldfish in a fish bowl. I told her they would be dead within a month or so. She came back with a 1.5 gallon betta tank, I said the same thing but said it would be fairly perfect for a betta. She bought the goldfish anyways, came back from cash and said I told her that the 1.5 gallon was "too big" for a betta. Too big, the *** does that mean!? Me and my manager made fun of her after she left and she told me that. She ended up not buying the goldfish, thankfully. Best you can do is try and educate customers. Some of them are so *** stubborn. Same day as the story above I had a university-freshman aged girl almost cry in front of me because I said she couldn't get a goldfish. I referred her to get a sunburst wag platty and 3 Dwarf Gourami. She was much happier with that choice anyways. Goldfish are overrated man. How often do animals get sick or die in the store? How often do animals get sick or die in the store? What is the procedure in either case? Fish die quite a bit, usually more fragile fish like Guppies/Platties, and mostly the feeder tanks (200+ goldfish in one tank, bound to get some deads). One of my jobs every morning is to clear out the dead fish from the tanks, but there usually aren't too many unless something is terribly wrong. Fish that are sick (ich, swim bladder) are put into the back isolation tank and get taken out when they are 100% better. As far as things like reptiles/birds/small pets, we isolate them into their own tanks/cages out back in the quiet room and monitor them closely, logging in their problems and if they are improving or regressing. They are full cleaned once a week (same as every other habitat in the store) and are given food/water and medicine (if needed) twice a day. Time is the best medicine, and most animals are fine in a few weeks. The ones that are fine but end up with permanent disabilities get adopted out, meaning we give them away for free. Disabilities such as blindness, an eye that is damaged and won't open etc. Thing like this don't happen too often. I've seen things before of like, PETA going into the dumpster and PetSmart and finding live hampsters and stuff. I gotta say that is most likely 100% Grade A ***. 150 billion percent would never happen at our store, but with over 1300 PetSmart locations you never know if one of 'em could have just done something stupid at some point. I mean us Pet Care people aren't here to hurt/kill animals or anything, we have the job because we love pets more than we like people, lol. Why must you keep Betta fish in 8 ounces of water? Why must you keep Betta fish in 8 ounces of water? Why not dedicate 3-4 at least 5g tanks for just 3-4 bettas so they actually develop colors and look great? We get roughly 20-25 Bettas every week on shipment days. Bettas are not like regular fish, and they can be sold without my permission, you just take the cup and go. For the week or so that each Betta is with us they are okay in those cups. We change their water every two days so it is not dirty. I love Bettas, and they are getting trendy recently. PetSmart has a lot of those .5-1 gallon tanks on clearance because I'm fairly sure we are getting rid of them completely. Most of the new Betta tanks I see are 2.5 gallon+ and come with a filter, a heater, a LED hood etc. I personally avoid selling the smaller gallon tanks to customers for bettas and suggest the larger ones, just a moral kind of thing I guess. Wife used to have the Betta Falls thing... what a piece of *** that is. Fact of the matter is that PetSmart is a business and most of our animals are not kept in adequate terrarium/aquarium enclosures because 1: they sell quickly and 2: floor space. If we had proper tanks for everything it would take up the whole store. For example, you need at least a 30 gallon tank for a single goldfish, yet we will keep 5 or more of them in a 10 gallon cold water system. Our local competitor tells customers that whole "Anything over 1 gallon will stress the betta out" myth to sell their tiny-*** Betta bowl things, and I would suspect so that the Betta dies quick and they come back for a new one. At our store we actually have morals and will definitely not do that to customers. For dogs, do they have scheduled bedtimes? For dogs, do they have scheduled bedtimes? Do they sleep all in one common room or are they put in solitary compartments? And is there always someone up with them, even at night? There are not scheduled bed times. There are people in the back room win the dogs 24 hours a day. They all go to their separate rooms once doggy day camp and walks are done for the night. So do you enjoy your job because it has a nice pay, or purely for satisfaction, or both? What was your most memorable experience during your work at PetSmart? Overall it was a fun job for pretty good money. Almost everyone was cool and liked dogs a lot, I also got along great with the hotel manager so that helped. But if an your fish tanks get an Ich infestation how do you deal wit it and what do you do if a customer gets mad because all their fish died due to the ich? I'm very very late. But if an your fish tanks get an Ich infestation how do you deal wit it and what do you do if a customer gets mad because all their fish died due to the ich? I also work at PSmart. Raising the temp of the tank and using aquarium salt also helps, but ich is a tricky parasite. Do you understand why veterinarians dread taking in clients who have recently purchased an animal from a Petsmart store, listen to the customer's quotes from a sales there, and then wanting to shoot themself in the head, after screaming, "I DON'T WANT TO LIVE ON THIS PLANET ANYMORE!!!" ? Yes, I do understand this. Honestly I have become more and more jaded towards PetSmart because of the increasing number of sick animals that we get in from Rainbow World Exotics. They don't take care of their animals very well before they get to us. We take them to the vet when we notice their sicknesses, but sometimes it's already too late when we notice. This is one of the reasons why I am leaving within the next few months. When I started working for this company, I felt like this was such a great retail environment, until I realized how bad some situations are and it makes me even more stressed out than I would be just dealing with regular clothes retail. I love animals a lot more than a lot of the higher ups at my store, so it bothers me more. Do you get pissed when people want to hold animals daily? If I have nothing to do and it's not busy, I don't mind too much. But most of the time, I have things to do, so it definitely gets really annoying. I've had people come in and want to hold every single hamster, and then not even buy one. People treat the store like a free zoo basically. Sometimes I make up that we can only let them hold so many animals so that I can help other customers. Gotta do what you gotta do. Sounds like a problem we had with 2 of our trainers, but she had only been there for about 2 years. has something like this ever happened during your time with the company where you worked? I worked for petsmart about six years ago. During that big hamster "related" disease scare that happened i remember every single small animal we had was quarantined while the issue was investigated. this was also due to the public freaking out. all our animals tested healthy but of course we still had to follow a lengthy quarantine period. the company decided at this point it would be faster and more cost affective to euthanize all the animals so we could get new ones in sooner. about twenty animals were put done for no reason, this included not only hamsters, but guinea pigs, chinchillas.... and everything we had at the time. has something like this ever happened during your time with the company where you worked? if not.. what if it did, would that change your views on the company? Nothing like that happened when I was there, but if something like that did happen it wouldnt have stopped me from working there. My job was more on the merchandise side, so as long as there was merchandise to sell I could get along just fine. How exactly did they do you wrong? How exactly did they do you wrong? How was your overall experience working there? They fired me without knowing all the details of what happened. The job was stressful, but I thrive in that kind of environment. At K-mart managers dont do much physical labor if they dont want to, at Dollar General the managers do all the physical labor. So I had to find a happy median between the two and divide my time between administrative work and physical labor, which could be difficult at times. Does PetSmart have a rivalry with Petco? There wasnt a PetCo in my area so no, but as managers we were expected to visit one of the local petstores at least once a week to check pricing and report it to our DM. What is the strangest animal anyone has ever brought in? Even though it is against policy we had a customer bring in a spider monkey, all of the managers were so amazed that we didn't even ask the customer to leave like we were supposed to. what are my chances of scoring a management job with PetSmart? I recently graduated from college with a business management degree with very little management experience.. what are my chances of scoring a management job with PetSmart? Would you recommend it (even though you were fired)? Any advice? In most of the retail world experience will trump a degree at the store level. I think the reason I did well at PetSmart and enjoyed it was because I had worked in Big Box Retail (K-mart) and Small Box (Dollar General) beforehand. Petsmart is not an easy company to jump into if you do not have a lot of management or specialty retail experience. They almost expect you to know everything before you get into the job. In all honesty your degree would go to waste in anything but store manager or DM, which are really hard jobs to grab due to those position having low turn over and Petsmart's tradition of promoting within. I've worked at two different PetSmarts. I've worked at two different PetSmarts. One was in The Chicago Loop and the managers made the job worth having; only got in trouble once and that was for calling off work for a hangover (oops) After 1+ years of working there I transferred to The Chicago suburbs and worked at Deer Park PetSmart. The management sucked; forced you to work past your scheduled time with scheduling threats. I quit after 2 months. Managers like you make the place worth working at if, like myself, you don't do it because you have a love for animals. The management staff is key to the success of the associates. Anytime an associate made a mistake or their performance was dropping, the first question I would ask myself is "what am I doing wrong". Unfortunately I was probably one of the few managers in the company that had that outlook. How did you become a manager? Did you have previous management experience? Do you have a degree in business? Was your salary $35k to start or did you recieve regular raises to that point? The reason I ask is that I'm currently in college and I'm a business major. I use to work in retail as an assistant manager and made about $30k a year but I decided to go back to school because I figured I wouldn't be happy with anything less than $100k a year. I'm starting to realize there is a strong possibility I'll end up right where I left off in retail management after spending 5 years in college. I started working at K-mart when I was 15 and worked my way up to management over about 5 years. I basically started out at that rate of pay due to Petsmart using an experience scale to determine starting pay. I think I did receive one 10 cent raise which put me at the salary cap for that position. Honestly though there is no real money to be made at the store level. A high volume Super Walmart Store manager might make 100k+ with a MBA and years of experience, but your best bet would be to try for Field Management such as DM or a corporate job. Were you required by the supervisors to memorize the names of all 100+ breeds of dogs and at least 2 facts relating to each breed? Were you required by the supervisors to memorize the names of all 100+ breeds of dogs and at least 2 facts relating to each breed? I'm only asking because when I worked for PetSmart (granted this was like 15 years ago...) that was one of the requirements set by our supervisors along with studying for these really stupid tests which would earn us special stickers (or they might have been pins, I don't remember) for our name badge. No they didnt have those requirements when I worked there. They didnt have stickers for your name badge, but managers had the option of wearing pins on our shirt collars that had different meanings. What's the creepiest/weirdest thing that ever happened at your store? We had a snake that escaped from its cage, we looked everywhere with no luck. A year later the snake had made its way back to the grooming salon living off of loose bugs, I assume, and scared the *** out of one of the female groomers. She came running out of there screaming like a crazy woman...it was hilarious. Most of the termination of employees was due to incompetence and a lack of willingness to improve. I assisted in the hiring usually screened applications and did the first interview. The only person that ever let me down was this one guy that seemed perfect for the job(morning stocker), he was enthusiastic, and energetic. Halfway through a shift about 2 months in he just walks up to me and says "I quit". Was really random but oh well. When you came home after a days' work, do you smell like animals? Depends on what I did for the day. If I had to help out in the grooming salon I might smell like wet dog, because the groomers get nice waterproof smocks but not the managers that are giving them a hand. I am sure there were some smells that followed me home. A broken bag of dog food will follow you around all day. My dog used to meet me at the door where I would have to stand still for about 10 minutes while he smelled ever inch of my pant legs and licked off anything he found interesting. Do you guys actually have training about all the animals in the store? Do you guys actually have training about all the animals in the store? I've been in a couple times with questions about my birds, and even the "avian specialists" couldn't help me with some very simple issues. In all the Petsmarts I've been to, I've found your bird section to be pretty minimal and unimpressive. I get the feeling that Petsmart is really more of a cat/dog place, and that you only carry small animals because you have to. The initial training an associate receives is more focused on maintaining a healthy environment for the animals. As far as products go we are left to our own devices (reading packages, asking a manager or someone else that knows) to learn. For the most part if you catch an associate in the first six months to one year of their job they are not going to know much because there is so much to know, it can be overwhelming at times. Petsmart does seem to focus on dogs and cats more due to them being the "more common pet" thus being the most profitable. There are some stores that do not sell any live animals except for fish, though they still carry the bird and small animal products. have any pets? if so what food do you feed em? if not, what would you feed? I have a 100 lb American Bulldog (not to be confused with a "pit bull") and I feed him Castor and Pollocks organic dog food. I also have a Red-Footed tortoise that receives leafy greens from the grocery store. Having pets really helped with my job, as people love to hear personal experience about a certain toy or dog food, and having a large dog I could tell you what toys could be destroyed and how fast (I kind of spoil my dog with toys) and the visible benefits of holistic food. What's your favorite animal and why? Also, what's the most outrageous customer you have ever had to deal with? Bernese Mountain Dogs were probably my favorite breed of dog that would come into the store on a regular basis. I guess I find it intriguing that they all have the same markings. As far as pets we sold it would be the chinchilla hands down, and you would know why if you have ever felt how soft they are. No specific customers come to mind as I have dealt with so many, but canned cat food customers seemed to be collectively the craziest. There were customers that would buy 200+ cans at a time and not in cases. They would be in the aisle for 1-2 hours picking each can individually because "their cat only likes these certain flavors" and would make no effort to organize them to make their checkout easier on the cashier or the people behind them. How is the companies as far as treating the animals kindly? How is the companies as far as treating the animals kindly? Have you ever witnessed any cruelty or neglect towards the animals in the companies policy? I feel like being a major corporation they want to save money and a way to do that would be to use cheap food to feed the animals. Can you shed any light on this subject? Petsmart does not condone any intentional abuse or neglect of the animals. As a matter of fact we had a policy of "when in doubt take it to the vet" at great cost to the company. Yes, Petsmart is a business and is attempting to make a profit. They fed the animals the Petsmart proprietary brand of food, which is cheap price wise, but the quality is the same as the name brand. The thing that really makes a difference(at least at my store) is that the pet care associates really cared. They would handle the animals as much as time would allow, and were quick to adopt any that might have a slight deformity or had been in the store for too long. what specifically happened that made you question your loyalty? I'm curious... what specifically happened that made you question your loyalty? A little back story. When I work for a company I am fiercely loyal. For example when I worked for K-mart I refused to shop at Wal-mart(and still wont to this day). I really dedicate myself to my job. I would constantly come in early, stay late, come in off the clock if anyone needed help(I was hourly btw), and take phone calls day or night. But due to a personal issue that was non work related my employment was terminated. I guess I just learned the hard way that major companies do not care about their employees. The store management team might care...but not the company. Edit: one of the many downfalls of living in an "Employment at will" state. Have you ever encountered an issue with the cleanliness of cages? I am currently a Petco associate, and what I've realized is that your habitats tend to be much better ventilated than ours. Have you ever encountered an issue with the cleanliness of cages? It seems that every time I'm working, the cages at petco are dangerously unsanitary for the small animals, particularly the ferrets. Petsmart has a very strict regiment as far as cage cleanliness and presentation. Every cage gets completely new bedding and sanitized once a week on alternating days, for example Monday would be small animal day, Tuesday would be Bird day, Wednesday would be Reptile day. Every morning and night spot cleaning is done as needed along with changing food and water. Throughout the day the managers are required to check all habitats for the proper amount of food and water and cleanliness. Edit: Realized I didnt really answer your question. My store did not sell ferrets but our biggest offenders were the guinea pigs. If you look at a guinea pig cage you might notice that there is feces the exact distance from the food bowl as the guinea pig is long, because they will eat and *** at the same time, and they tend to knock their dishes over more than the other animals. How many times have you been *** on? actually never, as a manager my job did not require as much *** as the associates, that is not to say I didnt have my fair share if a dog went on the floor. edit: also I believe the past tense of *** is shat. salary for my position was 35k a year plus bonuses and excellent health benefits. I was not the store manager just so you know. Edit: As a single guy in his early 20's it was more than enough to sustain me and my love of technology. Did you struggle with getting any work done when you started? Did you struggle with getting any work done when you started? I know it must be hard not to play with the puppies all day. Takes some discipline. I can field this question. A lot of PetSmarts don't have dog adoptions everyday, and the ones that do, the dogs are kept in small kennels for most of the day, except for when people from the adoption agency come to spend time with them, or when PetSmart closes, at which point, some employees are to do said tasks as part of closing. No matter what though, when walking by, you can't help but tell the animals hello. How many times a day do customers paying with a card accidentally press "no" at the end, and stand there and wonder why it's not going through? How many times a day do customers paying with a card accidentally press "no" at the end, and stand there and wonder why it's not going through? My guess is about 100,000 for my store. Like every other customer does that. And it's repeat customers that do it too. do you feel the need to lecture your customers like everyone at my local store? do you feel the need to lecture your customers like everyone at my local store? my dog is not neutered and this has come up and been a problem with employees multiple times. If it appears that the dog is not in good health, or condition, then I will recommended some changes. However, if the dog seems happy and healthy and isn't aggressive, then I don't see a problem with how the pet parents raises him/her. How Would You Rate Working At PetSmart? Are you working at PetSmart? Help us rate PetSmart as an employer. How Would You Rate The Company Culture Of PetSmart? Have you worked at PetSmart? Help other job seekers by rating PetSmart. You can find out what it is like to work at PetSmart, also known as PETSMART INC, PetSmart, PetSmart Inc, PetSmart Inc. and PetSmart, Inc..
Zippia gives an in-depth look into the details of PetSmart, including salaries, political affiliations, employee data, and more, in order to inform job seekers about PetSmart. The employee data is based on information from people who have self-reported their past or current employments at PetSmart. While we have made attempts to ensure that the information displayed are correct, Zippia is not responsible for any errors or omissions, or for the results obtained from the use of this information. 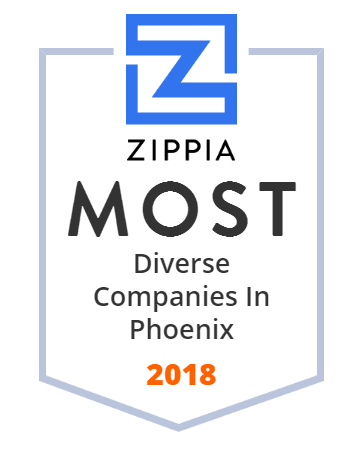 The data presented on this page does not represent the view of PetSmart and its employees or that of Zippia.